Color: Black Khaki CP camouflage ACU Desert Digital etc. Each bag presented a rainproof dust cover and a sports scarf, to better start your outdoor trip. 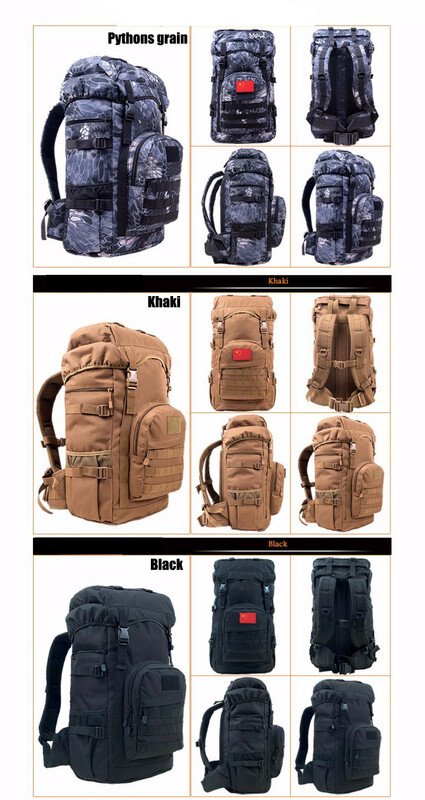 Suitable for leisure, cross country, running, riding, mountain climbing, rock climbing, camping, fishing and so on. Compression Strap System - designed to adjust backpack volume while securing contents and preventing unwant vibration.